All tracks on Bangs And Shimmys is available on the compilation album,3 EPs from online music stores: iTunes (US, Mexico, Canada, UK, EU, Australia/NZ and Japan), Myspace Music, Amazon mp3, and Rhapsody. 2. Honey Dance An uptempo song with a downtempo feel. 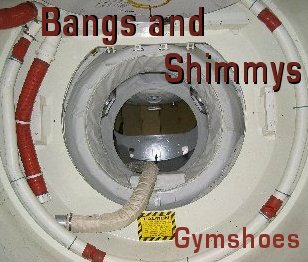 All tracks on Bangs And Shimmys is available on the compilation album, 3 EPs, available from online music stores: iTunes (US, Mexico, Canada, UK, EU, Australia/NZ and Japan), Myspace Music, Amazon mp3, and Rhapsody.